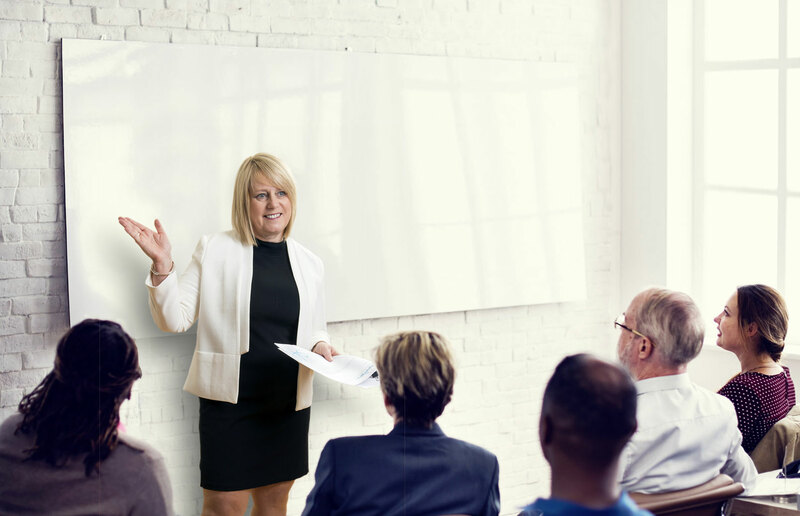 Inspiring and engaging, Andrea’s approach motivates her audiences by teaching them how to turn thought leading educational theory into practical classroom applications and resources that deliver enhanced student outcomes. Extensive knowledge across all literacy, numeracy and inquiry teaching methods makes Andrea a valuable resource in any school. Her passion, expertise and ability to simplify the message has revitalised many Professional Learning Teams. Collect all the tools of the trade required to improve literacy and numeracy outcomes for your students. 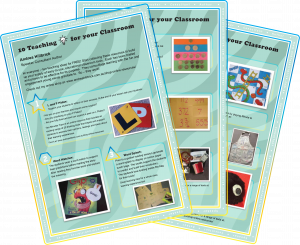 These simply crafted resources will clarify objectives and quickly engage students to enable them to enjoy learning. Speaker, Consultant and Author of 7 books, Andrea Hillbrick possesses a profound understanding of the how and why of contemporary educational methods. 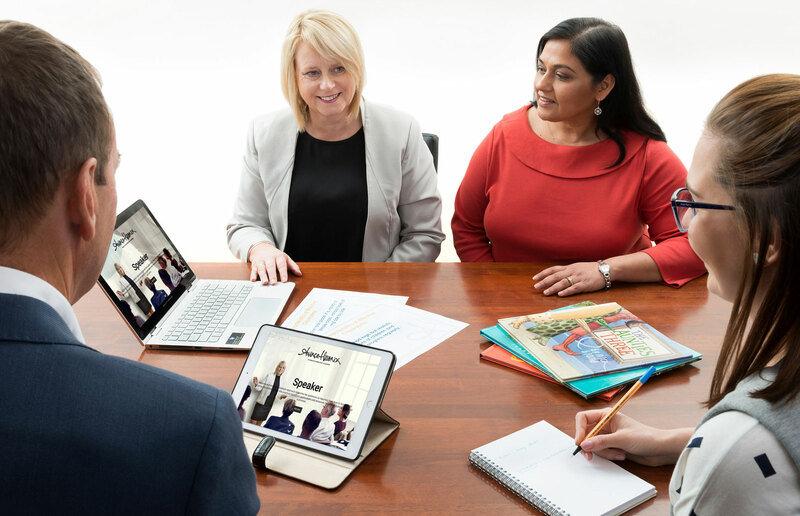 Collaborating with School Leaders and Professional Learning Teams across the country, she improves educational outcomes for students and job satisfaction for teachers by converting cutting edge educational theory into practical teaching techniques and simple ready-to-use resources. Her enthusiasm inspires, her knowledge empowers and her wonderfully inclusive approach draws everyone in so they want to be part of providing excellence in education. Andrea is an inspiring and engaging presenter. She worked with our cluster of schools to ensure her presentation met our goals for the day and the feedback from teachers was very positive. She has many hands-on and practical activities that you can take straight back to your classroom. Andrea’s ideas and activities will help your students to develop fluency, problem solving skills and a love of Maths! Andrea is the most inspiring, passionate, innovative and knowledgeable educators I know. Every time I work with Andrea, I walk away with practical, ready to use ideas. She has really helped our school develop a consistent approach to planning and teaching. Andrea is highly passionate about teaching & learning. She is able to captivate and motivate those around her with enthusiasm and knowledge of Mathematics. Andrea walks the walk, with many of her ideas and strategies successfully trialled in classrooms. She is very generous with resources and always adapts her presentations to school needs and context. Her input has proved to be invaluable to our school in the area of Mathematics. As a school we began our Inquiry journey in 2012 with a limited understanding of the process. Andrea’s extensive knowledge in this area coupled with her ability to connect to and empower staff, brought Inquiry alive for both staff, students and the broader community. Her capacity to demystify the process whilst making it practical and achievable was a wonderful gift. Andrea worked alongside our teachers scoping and planning curriculum, modelling strategies and designing supporting documents, building efficacy within our staff. As a consequence our students developed into passionate inquirers who delight in the process and has made our school a more vibrant and exciting place. Andrea has a wealth of knowledge and as a result of working with her I have significantly grown as a leader. In establishing and leading a new campus for the school, Andrea challenged my thinking and leaving me with very practical and actionable steps to move forward. She worked with the team of teachers at the campus to set strategic direction and implement programs that led to significantly higher levels of student engagement and achievement. Andrea is the most credible educator that I have worked with and I would highly recommend her. We approached Andrea eight years ago because of her excellent reputation as a well-researched and passionate Literacy and Numeracy consultant. We initially planned to have her for a day but her inspirational and down to earth approach has meant that we had to have a longer term relationship with her. Her focus on practical easy to implement ideas is an experience that our teachers rave about! I would highly recommend Andrea to any school looking to implement new, innovative ideas that are proven to work! Andrea brings to schools a wealth of experience, knowledge and expertise in the work of learning and teaching. She earns the respect of staff and students through her ability to model cutting edge instructional practice. She is in tune with staff and students needs and is highly engaging in the presentation of her work. The employment of Andrea will make difference to the learning and teaching environment of any school. Her skills are amazing as a teacher, consultant and a leader. Andrea’s ability to be able to impart her wisdom, knowledge and understanding of how students’ learn to teachers is as engaging as I have ever seen. Andrea has a very practical and credible approach to professional learning for teachers. Andrea’s work with us at Jubilee Primary School centred around writing Learning Intentions, co-constructing Success Criteria with students and providing Quality Feedback to students withing Mathematics. It was by far the most useful and professional PD our teachers have engaged with in my nine years as Principal at Jubilee. Bannockburn Primary School has benefitted greatly from having Andrea Hillbrick work with us over the last 6 years. Andrea has supported all staff in developing a whole school evidence-based approach to exemplary teaching in Reading and Mathematics. Andrea’s work with school leaders and all staff has led to a marked improvement in student learning growth and teacher practice and knowledge. Staff greatly value Andrea’s support, modelling, coaching and feedback. As an educator, Andrea Hillbrick is without peer. Her innovative curriculum design has driven our Inquiry work, energised and motivated our staff, and engaged our students in their learning. Her planning, resourcing and research is exemplary. Andrea Hillbrick has been our Educational Consultant of choice over the past seven years. Andrea Hillbrick has been providing a model of excellence in teaching and learning to all of our staff, leadership and executive leadership team. Andrea is highly flexible in delivering and identifying the needs of our school and has a highly positive engaging relationship with all of our staff. Andrea has been pivotal in building the practice of teachers in delivering highly engaging lessons and creating the structures of learning within the school. We highly value Andrea and the impact she makes at Warringa Park School. Roslyn Primary School has had the great fortune to work with Andrea Hillbrick over the past few years, benefiting from her wealth of practical and theoretical knowledge. Andrea has worked closely with the leadership team to help develop their understanding on how best to develop and implement instructional practices in both mathematics and inquiry learning. She guided teachers to develop strong authentic learning tasks, providing supporting documents and resources catered to individual teacher needs and stages of learning. Andrea demonstrated a high level of skill in dealing with a wide variety of people and their differing expertise, ensuring each teacher was fully engaged in the whole school implementation. She has successfully crafted school specific presentations taking into consideration skill level, personalities and the vision of the school. Andrea’s ongoing assistance and support has been invaluable to our school. I have also had the pleasure of being involved in the ‘Primary Mathematics and Science Specialists’ program where Andrea facilitated sessions on mathematics and working with professional learning teams. Her ability to engage and enthuse a room full of teachers through hands-on and practical tasks is further testament to her abilities as a presenter. As a presenter, Andrea is engaging, knowledgeable and extremely practical. She motivates all teachers and empowers them to reflect on their professional practice. Andrea delivers this same approach through her resources, as an author. When developing a resource with Andrea, the practical nature of teacher time and teacher understanding is of high importance. Her appreciation of teachers as professionals is strength and I thoroughly enjoy working with her. Andrea is an innovative and inspirational educational consultant, who has worked with us at St Albans Primary School to lead curriculum change and build staff capacity. She has mentored school leadership including coaches and team leaders as well as working directly with classroom teachers. Andrea has also worked extensively with our leadership team to develop comprehensive curriculum and policy documents. This has included our Student Engagement Policy, as well as our Two Year Scope and Sequence for Inquiry. Andrea has also supported the Implementation of the Inquiry Scope and Sequence by writing comprehensive teaching notes and implementation strategies for our Inquiry Leader. Andrea is a skilled writer who uses her vast educational experience to produce quality documentation that supports effective and innovative curriculum delivery. I couldn’t be happier with the work that Andrea is doing at our school. Her knowledge, enthusiasm and professionalism are very much appreciated by all our staff. Andrea is incredibly organised and is full of ideas to improve teaching and learning. Teachers look forward to the days that Andrea comes to our school and have noted the positive impact she has had on our practices. Our aim was to improve the maths outcomes for our students. Our partnership with Andrea enabled us to achieve much more. Andrea’s extensive knowledge of highly effective teaching and learning strategies meant that our teachers were supported to develop a wide range of skills that have gone beyond the maths classroom. Her commitment to thorough communication and organisation was constant, meaning that together we could tailor an approach that ensured effectiveness with targeting our specific needs, for students, teachers and leaders alike. Andrea’s personal approach to our school meant that we built maths teaching and learning the Hamlyn Banks way with her. Thanks Andrea! Get these free Fact Sheets and Resources created by Andrea. Stay up to date with the latest by following Andrea on social media. Enabling teachers to help the next generation flourish drives me. Call to discuss how your school can better assist the children in your care.